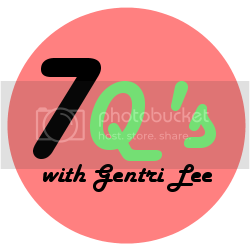 7 questions time! I tried adding a funny photo but for some reason Blogger isn't letting me :( So we'll just go on with the questions! 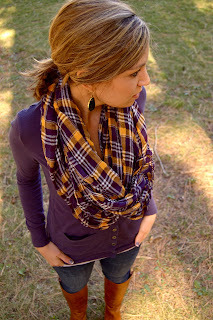 Scarf, earrings, jeans, long sleeves, and boots. While I love this look I also love pretty much everything I found on Pinterest! I couldn't find a photo to represent my style that I normally wear (you can only wear long sleeves and jeans for a few months here) but ever since I've been part of the bloggy world I've been inspired to venture out with my outfits. I would rather get ready for bed - I love jumping in to bed with my PJ's, especially in the winter. If it's Summer it's just too hot to be in bed. Never having eyelashes - I would probably wear fakes. Well, the car clock used to be set to 5 minutes ahead, but the minutes are a little fast so now its up to 17 minutes ahead! But I mainly use my phone to check the time.